As with any public holiday I love getting a group of friends and family together round the TV, cracking open a bottle of wine or settling down with a nice cuppa and getting stuck into a movie marathon. With Halloween on the horizon, I have listed some of my personal best and worst film recommendations for the upcoming holiday. I only watched Sinister for the first time recently and personally, that was one time too many. Myself and a group of friends settled down for a night of horror films in preparation for Halloween and the night lasted no longer than the first 40 minutes of Sinister. The film in total last for an hour and 40 minutes and in the first 40 minutes I can honestly say that NOTHING happened. The opening of the film is promising as a horror film as the first shot shows a group of characters being hung. Years later when the film is set, the plot follows a crime writer who moves into the house where this crime took place. He follows the occurrence of the hangings that appear in the opening scene, in particular a young girl who was not among the victims and disappeared although she was one of the intended victims. In all honesty, I switched off the film at this point for the sheer lack of development in the plot, despite the promising story. If I could, IT and Sinister would be on par with one another as they are both equally poor films. Like Sinister, I have only seen IT for the first time this year and after the hype it received from critics and from those around me following its release last year I anticipated a horror-filled, edge-of-your-seat homage to Stephen King. I was horrendously disappointed. The film is set in the 80s and the storyline is predicated on the disappearance of children in a neighbourhood in Derry, America. The infamous Pennywise Clown appears in the first scenes and takes a young boy as the first victim. This storyline is not developed as the film progresses and throughout the remainder any form of storyline is frankly non-existent. To save you the agonising waste of two hours and fifteen minutes of mediocre jump-scares and typical horror archetypes loosely strung together, let me summarise – a group of high school kids spend their time with the intent to kill Pennywise the Dancing Clown (among his other skills) to prevent him taking anymore child victims. And on that note I think we’ll say THE END on IT. Not the typical horror/Halloween viewing perhaps, but it does include typical horror film archetypes – zombies, the battle of good against bad and of course and the happily-ever-after ending. The strength of the film also lies in the typical British comedic element of making fun of typical horror clichés. To preface; Shaun of the Dead is the first of the Cornetto Trilogy created by Edgar Wright and Simon Pegg and as always, the chemistry between Simon Pegg and Nick Frost is brilliant and most definitely, the best part of the film. Their partnership is accentuated by the host of regular in the trilogy including Bill Nighy, Matt Lucas and Martin Freeman. The storyline follows Shaun (coincidence, right?) who unwillingly becomes the hero in apocalyptic London where the spread of disease causes the majority of the population to turn into brain-dead, hungry zombies. His unlikely band of heroes and heroines all provide different comedic elements which makes the film great. Although I have only given the film three stars that is purely because there had to be some semblance of order for these five films. To conclude all I have to say is watch Shaun of the Dead! It gets you in the mood for Halloween, it is light-hearted and most of all it is full of brilliant British humour. Once again, I have only seen this film for the first time this year, which, as a self-confessed mega-fan of Pride and Prejudice is abhorrent. I am always sceptic of film remakes and adaptations of books because, as a mega-fan of books also, they never match up with my expectations. This film is the exception as it surpassed all expectations and it succeeds in depicting an entertaining and accurate adaption of Pride and Prejudice. The premise of the story remains the same; Lily James embodies the heroine Elizabeth Bennett whilst Sam Riley portrays the typically broody and dashing Mr Darcy who have incredible unspoken chemistry which leaves the audience on tenterhooks. The comical element of the story is enhanced in this film, not only from the premise of the introduction of zombies into the narrative, but in Sam Riley’s deadpan portrayal of Darcy who is, as always, uncomfortable in social situations. Additionally, the character of Parson Collins, the infamously unusual suitor of the Bennet sisters is played by Matt Smith who executes the character perfectly and made me laugh out loud at several points during the film. And for the grand finale… [plays dramatic music] its Hocus Pocus which is perfect for getting in the mood for Halloween. 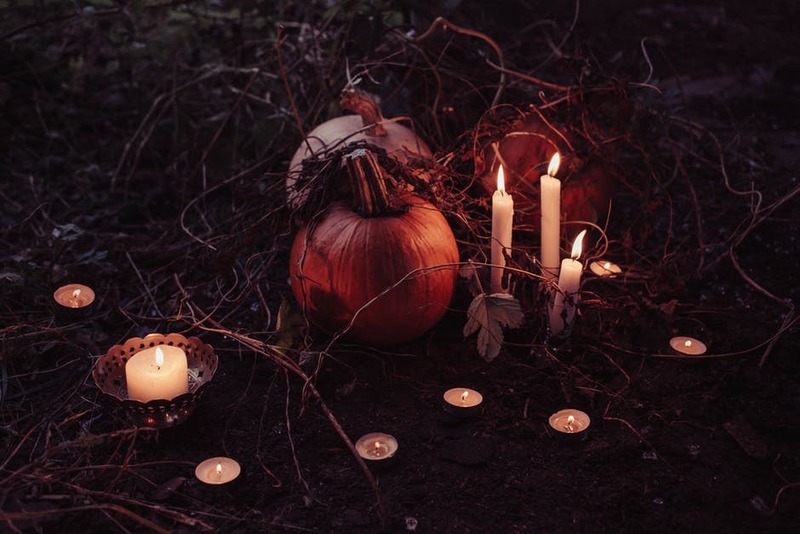 The premise of the film follows three 17th Century Salem witches who are killed in the opening scene of the film but are conjured on the night of Halloween in the modern day by the protagonist – 15-year-old Max Denniston, a sceptic when it comes to Halloween and horror. This was another film which regularly made me laugh until I cried, in particular a scene when the witches are in pursuit of a group of kids and in order to replace their broomsticks, the witches have to resort to using mops and hoovers. Hocus Pocus showcases the best of cheesy, vintage Disney films which is what them the best films for celebrating Halloween or any holiday.